Nearly half of all candidates are still waiting for responses from employers two months after they submitted their application. And when top talent’s typically off the market in 10 days, who are you missing out on by not reaching out? Don’t keep job seekers in the dark! Top candidates are always in demand. More and more, they expect real-time, relevant updates as to where they are in the process. Keep candidates warm, engaged, and in the know about your company and what it’s truly like to work there. Use multi-touch campaigns to engage with candidates on the mediums they use most often. Convey provides you the ability to customize or get started right away using our full suite of out-of-the-box templates. 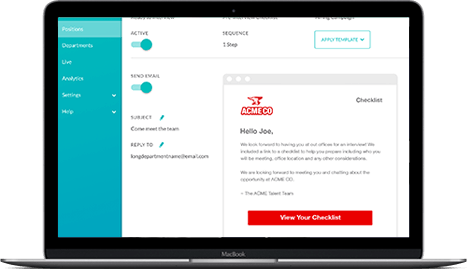 Timely and personalized communication triggered as soon as a candidate applies, keeping them fully engaged with your company and up-to-date on where they are in the hiring process. Keep candidates warm or boomerang them back even after a position has been filled. Over 66% of candidates who have a negative experience will share it with 6 or more people or employer review sites. This is damaging your employer brand and putting you at a disadvantage to competitors. Send candidate satisfaction surveys to your candidates via email or text message. Responses are provided on a 1-5 scale. Capture comments and analyze trends for insight into your company’s ratings and how candidates view your employer brand. 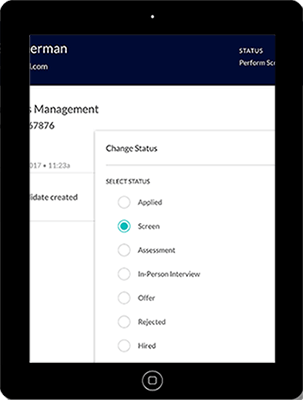 Convey integrates with your ATS to power all communications between candidates and your hiring team throughout the hiring process. Create and send personalized communication campaigns triggered as applicants change status within your ATS. Keep candidates warm and engaged. 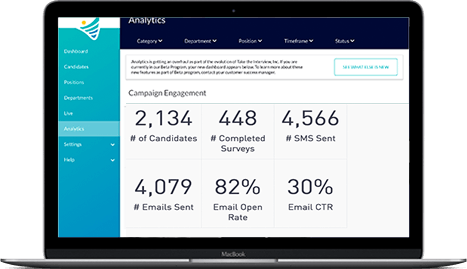 Get started right away using Convey’s out-of-the-box or fully customizable campaign templates, which include email, text message, and feedback/polling surveys. Data is pulled through your ATS to ensure communications are sent to candidates with the right message at the right time. Campaign insights ensure you’re using your time and resources efficiently. 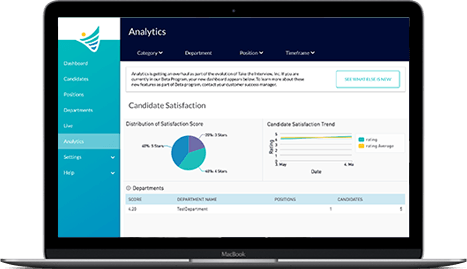 Make smarter data driven decisions to maximize results and provide an experience that delivers - increasing candidate satisfaction and establishing your company as an employer of choice. Detailed analytics lets your team track and measure how candidates are responding to your campaigns and interacting with your messages. Robust data empowers you to make informed decisions on how to optimize campaigns to make better hires and decrease employee churn.